This is actually the last one I had to taste to complete the series as I've tasted all the others before starting this blog. The six others being Lust, Wrath, Gluttony, Sloth, Envy and Pride with Envy and Pride the stand outs of the series for me. 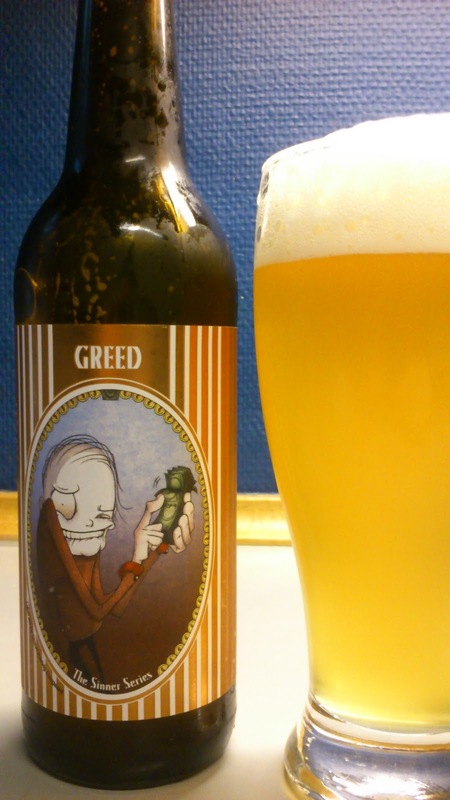 Greed is brewed as a no nonsense German Pilsener according to the blurb. Pours cloudy yellow/gold with a fluffy white head. Floral, herbs, grass, malt and bitter hops on the intake while leaving a grapefruit and slightly dry short aftertaste. Very fresh tasting, I could easily sit and session with this. 7/10 on the beerometer.